Thought these would make such a great chandelier for a party. 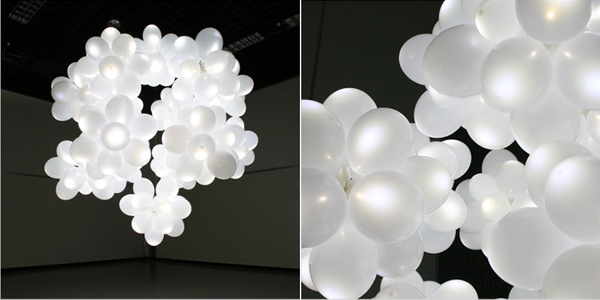 Each balloon is lit by a small LED light (which I suppose don’t get as hot as conventional lights.) and is powered by small batteries which last up to 100 hours. I love the clustered organic look of these. Kit for one balloon, $30.